Lock in a great price for Hotel Ziryab – rated 8.2 by recent guests! Great location. Direct access from the car park. Great facilities for skiers. Lots of nice public areas. Plumbing fault was resolved immediately it was reported. Very good location, friendly staff. Excellent breakfast a lot of variety. Good choice of breakfast , close to gondola to skiing area. It was just lovely, perfect location, very friendly, very clean. It was perfect! Superb location, Great breakfast, friendly and helpful staff: internal access to the car park underneath. Hotel Ziryab This rating is a reflection of how the property compares to the industry standard when it comes to price, facilities and services available. It's based on a self-evaluation by the property. Use this rating to help choose your stay! 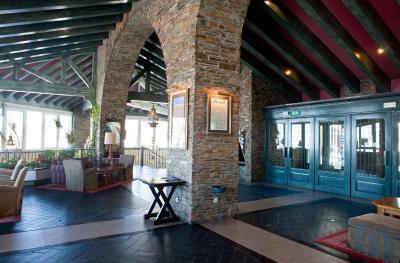 Hotel Ziryab is located in the Sierra Nevada Ski Resort, 750 feet from the Al-Andalus gondola elevator. 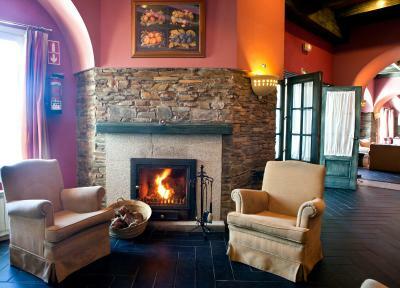 It offers a bright lounge with a fireplace and rooms with satellite TV. All rooms at the Ziryab are equipped with heating, and the private bathrooms come with a shower. The Ziryab Hotel has a games room with a pool table. There is free Wi-Fi in public areas. 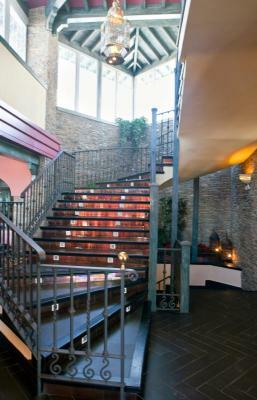 The Ziryab’s restaurant overlooks the city of Granada. There is also a bar where you can get a snack or a drink. Useful services include a free ski locker service near the main cable cars and free use of a dressing room with showers and luggage room. Parking is available at a location nearby for an additional cost. When would you like to stay at Hotel Ziryab? House Rules Hotel Ziryab takes special requests – add in the next step! Hotel Ziryab accepts these cards and reserves the right to temporarily hold an amount prior to arrival. Please note that the Plaza de Andalucia parking located next to the hotel offers direct access from the -2 level. The noise. Big families with children yelling in front of the rooms, staff cleaning, opening and closing doors super loud. Not a good place to rest. There is no peace at all. good location , food good staff efficient. Shower and radiators had mould in and our room had lots of ants. Room far too dark. Poorly lit with low voltage bulbs. You could not read in that room. Food was not great. There was lots of it and a great variety but most of it looked a lot better than it tasted. Unbelievable noisy in the corridor until late evening, due to poor insulation. Not due to noisy people. if all the rooms had reliable wifi it would be better for not only lone travelers but also business people.. Lack of staff at breakfast time , we had to lay our own table on 2 occasions. Not enough croissants although we were at breakfast at 9am. No lounge restaurant open until 4pm, so unable to have a coffee or snack at lunch time.